Most teachers enter the field of education to make a difference in children’s lives. But many end up, as author Lisa Lucas puts it, “tired, wired, and running in circles.” This leads to many new teachers abandoning the profession or to burnout among veteran teachers. Drawing upon her own experiences, Lisa has written a book to help you more successfully manage the frustration of feeling overwhelmed. Written in an informal, conversational tone, Practicing Presence is filled with ideas, exercises, checklists, personal anecdotes, and practices you can use to reframe and establish a mindset that will enhance your focus and engagement in the classroom. When teachers care for themselves deeply and deliberately, they are better able to care for the people that matter most in their lives—their students, friends, and families. Practicing Presence focuses not on doing, but rather on being present in the life of the classroom. Each chapter includes self-care strategies to explore how to self-regulate, nurture self-acceptance, and promote compassion. This book will give readers the feeling of having a personal coach who provides suggestions and routines so that they not only can deal with being overwhelmed, but rise above it. 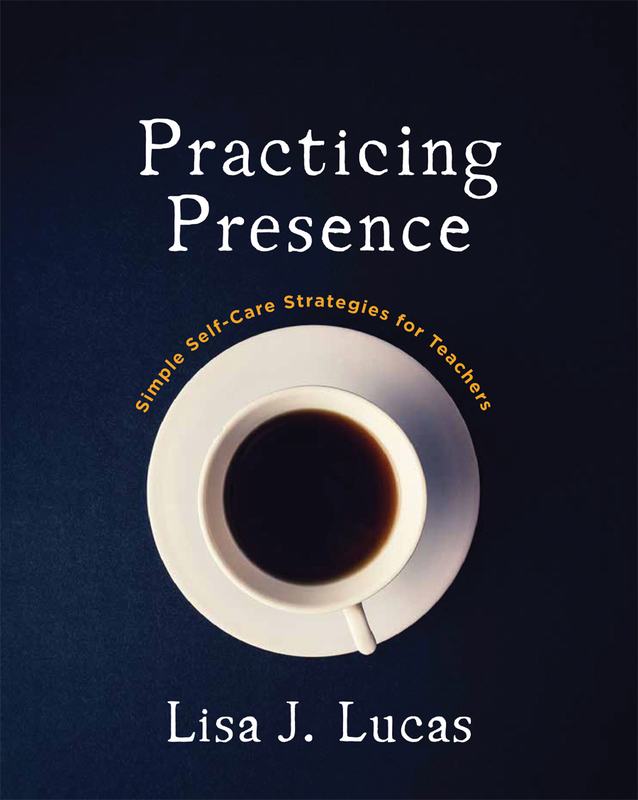 Lisa’s strategies, based on empirical research, are designed to help teachers reduce stress by fostering presence through self-care and an inner awareness. Students learn from teachers who project enthusiasm, optimism and clearly enjoy what they do. They are present for their students. You can’t fake presence, but you can learn to cultivate it—which is what Lisa has focused herself on, personally and professionally, for more than two decades. Chapter 3: Epigenetics: Ever Heard of It? Chapter 7: Can't We Just Get Along?